It is traditional to accept the Bosporus as the demarcation point between Europe and Asia but in truth the Islamic stamp that has been placed upon Yugoslavia gives much of south-eastern Europe a very different feel. Many people are surprised to know that up until 1921 what we know as northern Greece was predominately a Turkish speaking and Muslim area. The Muslim inhabitants being forced to leave their homes and resettle within the new Turkish state as part of a much larger resettlement that involved of over one million Greek and Turkish speaking peoples after the Greco-Turkish war in 1921. The most striking architectural legacy of the Muslim occupation of Greece is the aqueduct built by Suleiman the Magnificent in Kavala and which still carries part of that city's water supply. Istanbul, is your bridge between Europe and Asia, and it is the perfect place to get your bearings before heading further east. Although it is not the Turkish capital it is the main city of Turkey and it is exotic enough to lure you onwards and familiar enough to reassure you that you can do it! It is also a natural meeting point for travellers heading east and west and here you’ll be sure to pick up the most reliable information about the conditions ahead. In Istanbul we stayed at the BP Mocamp on the Londre Road. Not the most scenic spot but clean, cheap and very functional. 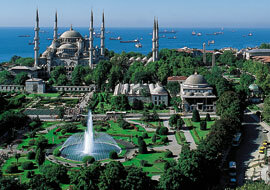 On a couple of days we would take the double decker into the city and park in the Hippodrome beside the Blue Mosque. However we mostly used the dolmus which plied the route into the city. The dolmus can be thought of as a cross between a taxi and a bus - usually they seat about 12 and they pick up and set down anywhere along their designated route. The old city walls of Constantinople still stand imposingly astride the Londre road and the first time traveller just can't help being blown away by the scale of this ancient city. 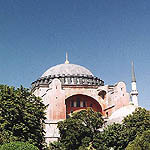 The rest of the city also impresses - there's the basilica of Agia Sophia built by the Emperor Justinian, the beautiful Blue Mosque and the amazing Topkapi Palace with its seraglio or harem. The Grand Bazaar is also the most amazing place to browse and shop and it is the largest souk in the world. Stop in any shop and you'd be offered tea brought to you by one of the fleet-footed young boys from the many chai shops. You could exit the Grand Bazaar down near the Galata Bridge and watch the ferries and fishing boats unload their cargoes. Of course no visit to Istanbul in the 80's was complete without a visit to the Pudding Shop. The most direct route to Iran and beyond is via Ankara (the capital), then up to the Anatolian Plateau through Sivas, Erzincan, Erzurum to Dogubayazit, which is the town just before the border. However the alternative route although much longer is far more enjoyable. For this this route heads you retrace your steps from Istanbul via the Gallipoli Peninsula, crossing over by ferry to Canakkale. Take the time to visit Anzac Cove and Lone Pine and then to climb to the Turkish memorials that give panoramic views of the battlefields and the Dardanelles. Few Australians or New Zealanders can leave this area unaffected by the exploits of their forebears in 1915. Just out of Canakkale can be found the site of ancient Troy. However, only the most diehard fans of ancient history will get a kick out of the confusing array of bricks and rubble that mark the many periods of its occupation. Next stop is Bergama whose ancient walls still stand proudly around a modern market town. On one trip I got it into my head to visit the city and since I was driving I took the opportunity to do so. As I entered the city the streets narrowed and twisted and became increasingly filled with pedestrian and animal traffic - I was soon to discover it was market day and I was forced to continue on dodging low-strung cables and overloaded trucks. 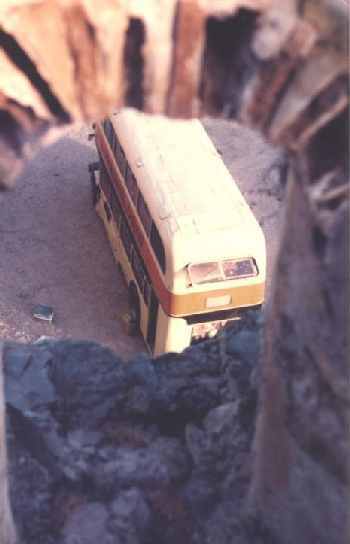 It proved to be another of what were known as "Darcy's Detours"; journeys that neither saved time nor discovered new sights! The road then keeps you going south down the coast to Kusadasi. This tourist port gives you access to the Greek islands and the famous ruins of Ephesus. Arguably one of the best ancient Greek cities to visit, Ephesus gives the tourist an excellent idea of the layout and scale of a city of antiquity. The amphitheatre is one of the largest in the world and its acoustics still impress today. Climb the hill behind the city and the outline of the city's ancient docks and streets are clearly visible and show how the landscape has changed dramatically over two thousand years. Today the old harbour lies long silted up and the coast is now some kilometres away. Next the route takes you inland across to Denizli (better known to us as "Dennis Lillie") which gives you access to Pamukkale before crossing to the south coast. 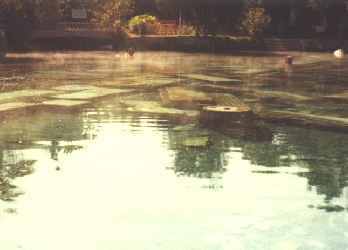 Pamukkale was and remains famous for its mineral springs, though from all accounts they are not as pristine as they were twenty years ago. We stayed in the old spring complex which was built around the largest and most impressive of the old Roman baths. The coastal road takes you on to Antalya, Side and Anamur. This route is a really spectacular route dotted with ancient sites, castles and attractive coastal villages. Side is an amazing town. 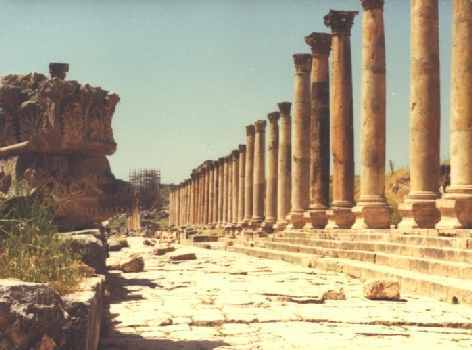 Once deserted because of malaria but today the town nestles amongst the ruins of its ancient buildings. It was re-inhabited only in the second half of the 1800's when Crete threw off Ottoman rule and its Muslim inhabitants thrown out. 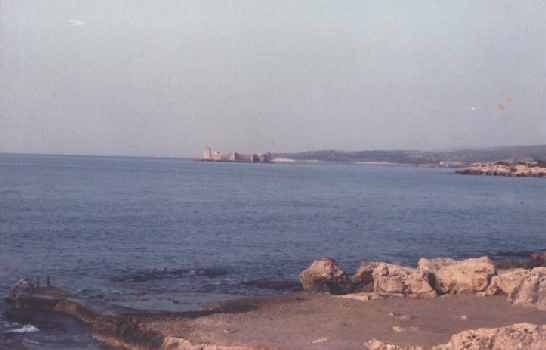 It had been a Roman slave town and was where Antony and Cleopatra retreated to after being defeated in the battle of Actium by the future Augustus Ceasar. 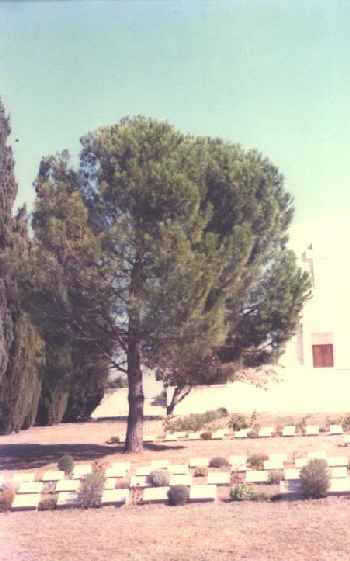 We camped beneath pines that form a fringe along the Mediterranean. It was only an easy walk along arguably the best beach in the Mediterranean to the town. From some accounts Side's natural charms may have been its undoing as Northern Europeans have discovered its beaches and flocked there in large numbers. 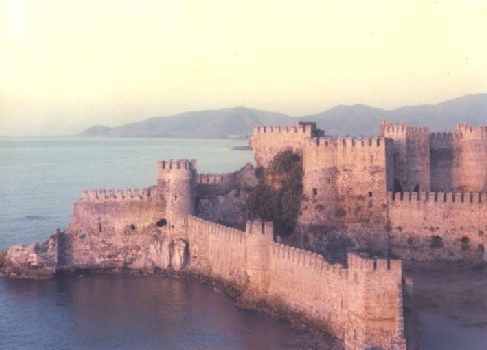 At Anamur we free camped within the ruins of an old Armenian castle. This location rated up there with the most scenic and atmospheric of all our camping sites. The castle was perched on a headland and we were able to drive into its keep through its breached walls. Free camping was always risky in Turkey and we were visited by a car load of locals but they left as alone after discovering we had the numbers. At Silifke you are now faced with a decision go north or take a detour south to Syria, Jordan and even Israel. The route north takes you across the Taurus Mountains to Cappadocia and Goreme before joining the main overland route at Sivas. On our trips we always travelled south to explore the Middle East and as you follow the coast you can easily sense the cultural shift as the people and the landscape take on an increasingly Arabic complexion. 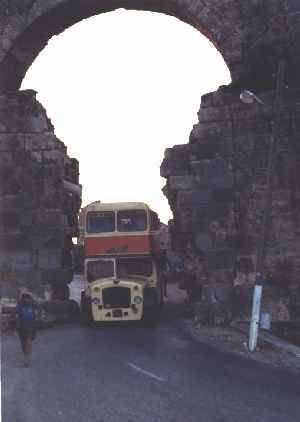 The route crosses the River Seyhan using the ancient stone bridge which was originally built by the Emperor Hadrian and heads for Iskenderun and the Syrian border. Iskenderun is famous as the place where Alexander the Great defeated King Darius II in the battle of Issus in 333BC to win control of the Persian Empire.